THE NATURAL HAVEN: Does your hair have hygral fatigue? Does your hair have hygral fatigue? In the last post I addressed the question as to whether white women actually wash their hair everyday and today I would like to address the main questions asked in this post. 1. Is black (African) hair actually drier than Caucasian or Asian hair? Scientifically, there are no firm answers. Two studies have found African hair to be drier and another two found the moisture levels to be similar to Caucasian or Asian hair. In practice, most people with natural hair of African origin will tell you that hair is more flexible and breaks less if wetted slightly before combing. This is most likely due to texture as many Caucasian curlies will also tend to find it easier to comb wet rather than dry hair. Curls tend to be more easily handled with moisture (e.g if your hair has shrunk drastically, often it is easier to undo this by wetting slightly then stretching the hair in a braid or twist). Additionally, many people find that their hair fairs better with a regular moisture routine than without (be that daily misting, mid week or weekly cowashing). 2. How damaging would washing your hair every day be? - hair of any texture which tends to hang when wet rather than shrink (i.e appears longer when wet than when dry). 3. How can you tell if you have hygral fatigue? If you can remember the hygral fatigue analogy is every time you wet your hair and dry it, it goes through a cycle just as when you stretch and relax a rubber band. The first sign that your rubber band is about to break is that it stops going back to its original size (much like the way you can overstretch a scrunchie until it has a new larger size). For hair, the mark is the same, a lack of elasticity where hair can stretch but does not return to its original unstretched length. For some, hair skips this stage all together and goes into the breaking stage, so it snaps when stretched even gently. 4. Is hygral fatigue really that bad? 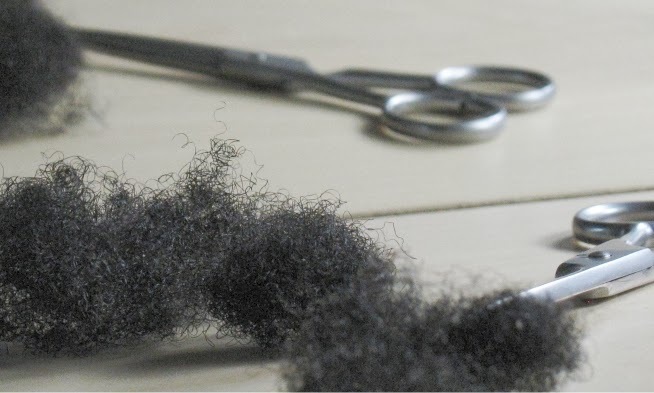 In my opinion, I do think that women with natural hair who want long hair should aim to do as little as possible to their hair, this is the only proven way to preserve hair for as long as possible. Will washing your hair every day give you hygral fatigue? It may or it may not depending on how many cuticle layers you have, the type of shampoo/ conditioner you use, how gentle you are with rubbing your hair, whether you towel dry or not..........the list is endless. However, if you can stretch it out to another day, you preserve your hair for longer (remember every time you wash your hair, you do lose some protein and every time you do not, you preserve that protein). Do you really need to wash your hair to get moisture or would a simple misting be enough? Do the least, stretch out your washes, preserve your hair for longer. This does not mean do not wash your hair or avoid water, on the contrary, I encourage you to use water when it will benefit your hair and avoid it when it does not. Very informative post. I hate combing my hair when it dry. I always comb it when it is wet, it is so much easier. Keep up the good work. I truly like your blog for the kind of issues you bring to us and also the logic of the explanations. I do have short natural hair (I am from Cabo Verde, an african country). I like to read about how to treat our kind of hair but i try no to get so stressed about it. I would like to know, when you say: "remember every time you wash your hair, you do lose some protein and every time you do not, you preserve that protein", it does not include when you just wet your hair? I wet my hair every day, but I just shampoo once a week. I tought you would like to know that your blog is followed from far away countries! Keep with the great job! Thanks Nelida. 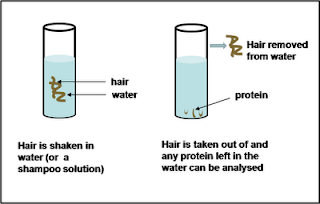 I am from Africa too (Kenya) :) If you wet your hair and rub it or squeeze it, this process can cause protein loss. However it is all about balance. If you need the water to style your hair, you will get more benefit from having flexible hair. If your hair tends to get dry and brittle, in that case adding water is beneficial. Great post. It seems for type 4 hair it seems to come down to - do as little as you can if you want to retain length. That's good with me because I'm very lazy! lol. I would be interested in your answer to Nelida's question about wetting and hydral fatigue. When I use water based moisturisers, is hydral fatigue also happening? Yes that is the motto - do little! Conditioners and moisturisers do contain a high quantity of water but also contain other ingredients such as oils and glycerin. The thing to remember is that hair expands the most in pure water, plus the longer you soak it in water, the more it expands. So, a gentle misting of hair with water is not the same as soaking hair in water (e.g what happens during a shampoo/conditioner or a co-wash). Using a water based moisturer, means that the oils and other ingredients also slow down the uptake of water (many of them are intended actually to adjust the humidity outside the hair). In other words, my theory (not proof) would be that gentle misting with water is not an issue and neither is using a water based moisturiser. Thanks I needed this answer but I'm concerned about something else thats along the same lines. I use Aloe Vera gel and the food thickener to thicken it up to make a gel. Since aloe vera gel isnt water but it does cause the hair to get wet, would that be safe along with the food thickener that has modified corn starch? Or would these cause some type of fatigue? BTW the food thickener I use with my aloe vera gel is made of modified corn starch. I have a question that I just thought about that maybe you can help me understand. If I do a mixture of glycerine and water (and maybe aloe vera gel) and add the food thickener to make the mixture somewhat solid and not watery, can I actually consider it a water based moisturizer and would the water evaporate making my mixture useless? Hi JC, I find your posts to be very infomative and helpful. I hope this is not off topic but what do you think about the Greenhouse Effect for retaining moisture? Will that cause your hair to have hygral fatigue if you do it more than 3x a week? Hi Kaye, In my experience, the greenhouse effect/baggy method can easily make some people's hair actually wet. If you do it overnight or over the course of a day (heard of people doing this under a wig), it is a very prolonged time of wetness. If you do it for a few hours (2-3 hours) then this is different. However, we are all individuals so if you find that your hair is actually more moisturised and does not have changes to its elasticity, then the method is fine for you. I've also heard, from many hair gurus not to comb the hair while it's wet because the hair strands are more fragile then. Just like how people debate on detangling while wet or dry, and doing hair trims while wet or dry. Very confusing Issue. Also in the book Science of Black hair by Audrey, she said wetting the hair everyday can cause hygral fatigue but then we hear it's good to wet the hair everyday, so it's not too dry! Oh Jeeze! I agree, there are many contradictions but in part hair is contradictory. I actually comb my hair dry using coconut oil and finger combing only. I will use a leave in or mist of water if I get to a place where my hair needs the flexibility (like where it is really tangled and I can see it will break if I continue to pull at it). Some people can easily comb hair wet (by that I mean soaked in conditioner). This also works with my hair but I have serious shrinkage so this method creates more work for me. Dry detangling with a little bit of misting works very well for me. Also please see my response to Lela above where I discuss the differences in the amount of water when you wash versus if you mist/use a waterbased moisturiser. I recently started pre-pooing with coconut oil. I'm not sure whether my hair is any better for it yet but, being that science backs it, I've decided to try it for a while..Something that I've been wondering though; I understand that the coconut oil helps to reduce swelling of the strand &protein loss while shampooing, but if I'm in the habit of deep conditioning after every (weekly)shampoo (which I am) does that negate the benefits of pre-pooing? I've been pondering this for a while &I'm stumped! Please help!! I rinse my hair every evening to wash off pollen/allergens. I also condition every evening. I wash my hair every 2-3 days. I think your readers may find today's post (sep 6 2012) in the blog http://swiftcraftymonkey.blogspot.com interesting. It's about how if you have frizzy hair you should avoid humectants (glycerin, panthenol, polyquat/honeyquat) and use silicones like dimethicone. This is bc humectants draw water to your hair which can make your hair frizzy! All this time I thought my hair was too dry but instead maybe it's drawing too much water! Anyway I've started making my own conditioner bars. Next recipe I won't use humectants and maybe I'll add more dimethicone and see if that helps my frizzies. Is hydral fatigue happening when you sweat from working out or in a sauna? Catherine, I joined this blog today and saw your post. My hair is similar - I often wonder why in the world my hair is so frizzy and always thought it was due to dryness. What I mean by frizzy is that all the little hairs curl upward one by one instead of lying smooth flat and downward toward the ground. It's hard to explain lol. But through this blog, I now understand what "dry" actually means - brittle and tangled. My hair is not this; if anything it's the opposite - almost too soft and very very frizzy. My curl pattern is 2B. I use a lot of glycerin (leave-in and water mixed w/ glycerin in spray bottle to moisten daily)...I thought since my skin likes it, my hair must too. I also gave up my silicone serum. Please let me know how it worked for you to switch from humectants to dimethicone! I know this post is old, but I would like to relate my experience with an experiment I did in January 2012 with going from washing my hair 1x/wk to every other day (I am white btw). It RUINED, RUINED, my hair. Another factor could have been the product I was using (Head & Shoulders to try and relieve the dry flaky scalp, which was not dandruff so of course it didn't work). But between the add'l washing + H&S my hair pretty much all broke off and to this day I am still struggling. 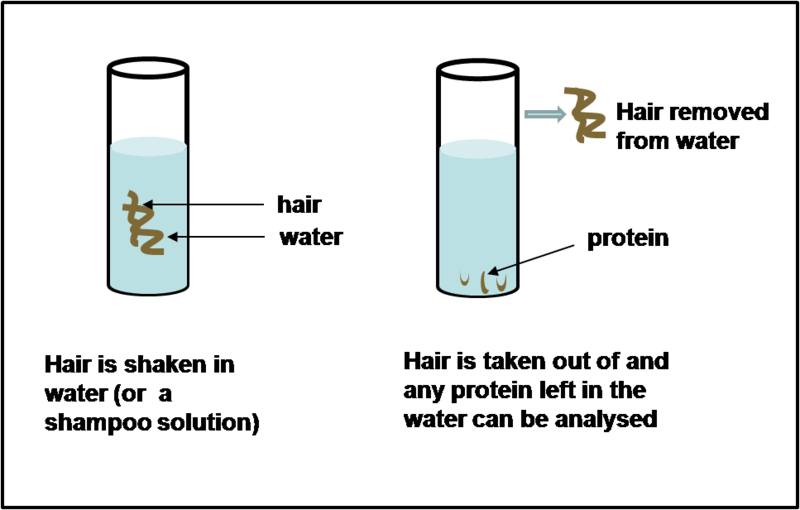 So I can attest to the science behind soaking your hair too much causes protein loss. By the way, JC, this blog is amazing, thank you SO much!! I want to read every, single article lol. Thanks for your post Ashley - it's really interesting to read about caucasian hair, and that it can break through other methods than bleaching/colour etc. From reading the posts above and on hair forums, it really does seem that no one rule fits all - my hair does better when I comb it dry, rather than when it is wet. Some people do better when they wet comb. I used to pre-poo with conditioner but now I only use coconut oil, and my hair is in the best condition it has ever been. What do you think about the huetiful hair steamer ? Don't know why it took so long to find this article but it answered many many questions, thank you!